It’s time for a little madness! 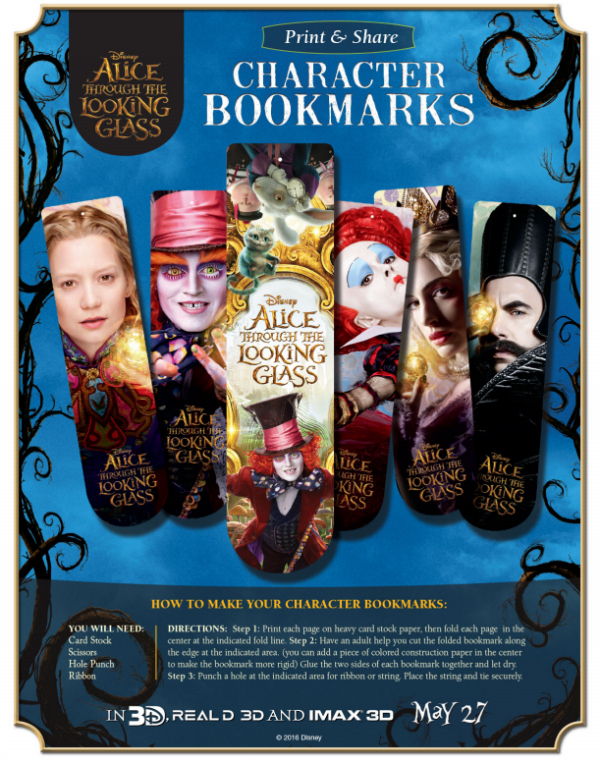 Alice Through the Looking Glass printable activity pages are here! Director James Bobin brings his own unique vision to the spectacular world Tim Burton created in 2010 with Alice in Wonderland with his sequel, Alice Through the Looking Glass. Tim Burton returns as a producer, along with several members of the original cast and crew. Absolem, the Butterfly, was Alan Rickman’s final film role before his death earlier this year. 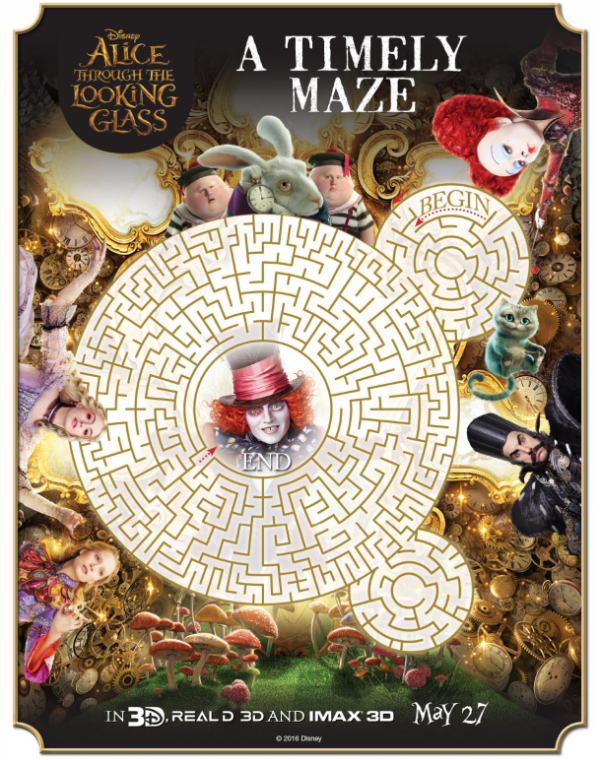 Alice Through the Looking Glass opens in theaters everywhere next Friday – May 27th! Enjoy a brand new sneak peek from the film, here! Coloring has been shown to boost mental clarity and reduce stress, helping you to relax! 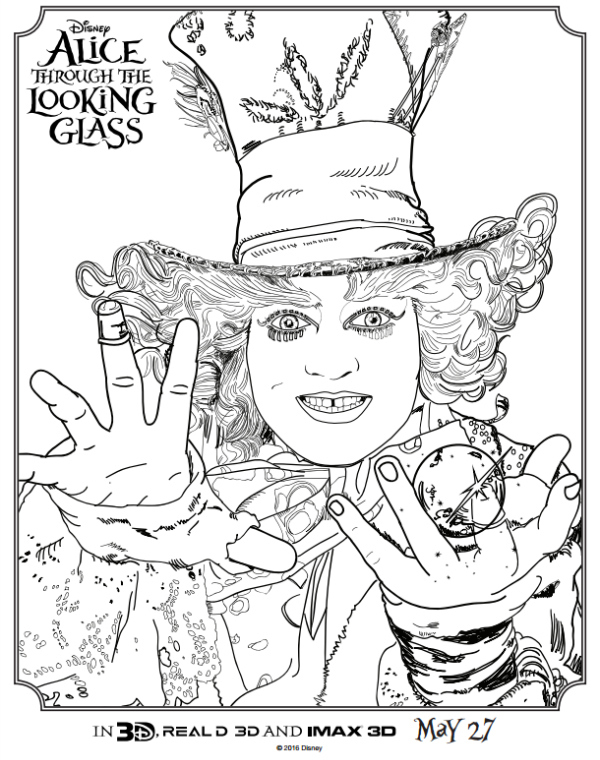 Enjoy these 5 coloring pages. 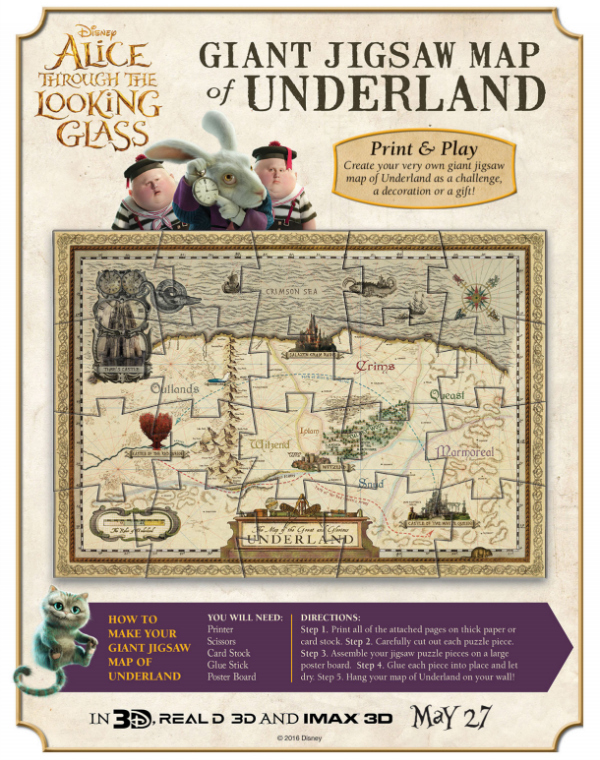 Set off on your own adventure through Underland with this giant 20-piece jigsaw map! Find your way through A Timely Maze. These 5 character bookmarks will help you quickly find your way back to your most recent adventures. Look closely! 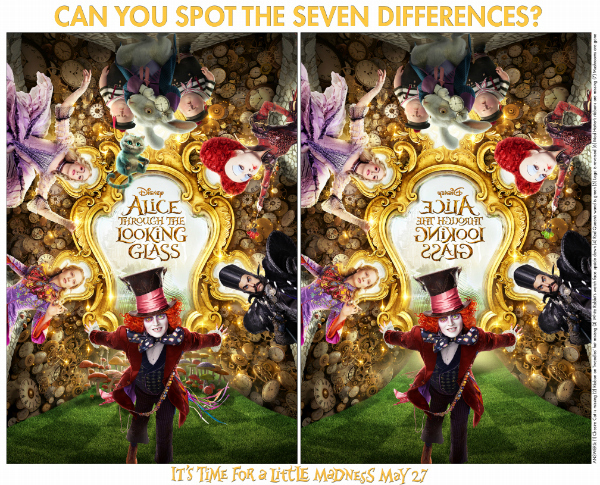 Can you spot the 7 differences?